Pain Free Laser treatments for Broken Capillaries, Viens, Acne, Fine Lines and Hair Removal. Dr. Newman and his team uses this laser because of its unique ultra short 650micosecond pulse width to treat all skin types for a variety of conditions. To read the latest clinical data follow this link, Aerolase Clinical Data. 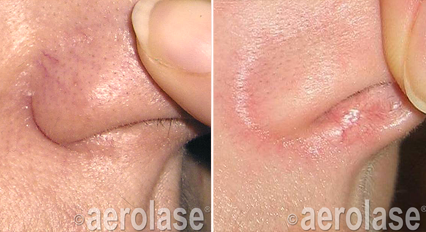 Aerolase laser technology is the premier choice for profound skin rejuvenation. 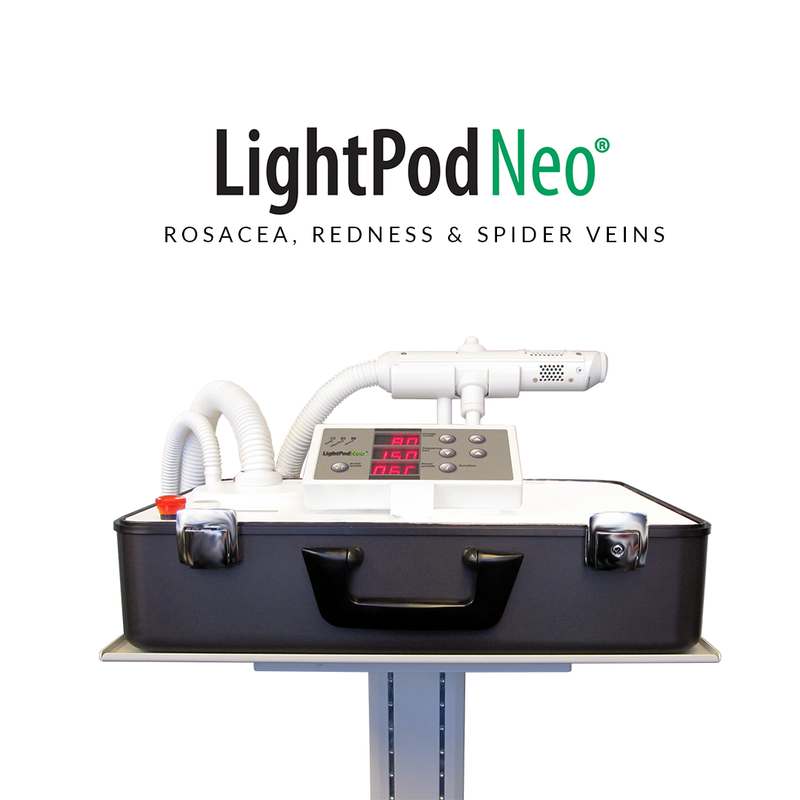 The LightPod Era is the technology of choice for rejuvenating the face, neck, chest, hands or other area of the body. The laser rejuvenates aging skin in just a single treatment by gently vaporizing and replenishing the skin’s outer layers in a precisely controlled manner. Patients may now receive tailored treatments to address their specific anti-aging needs. Consult with your specialist to see which treatment is right for you! The superficial layer of skin tissue is refreshed, resulting in a smooth appearance. Great for large pores and uneven skin texture. The skin’s outer layers are gently vaporized to reveal the youthful glow of the underlying skin. Perfect for sun damage and fine lines. A deeper, yet gentle procedure to completely renew the skin’s epidermal tissue.Ideal for deeper lines, skin growths and acne scars. 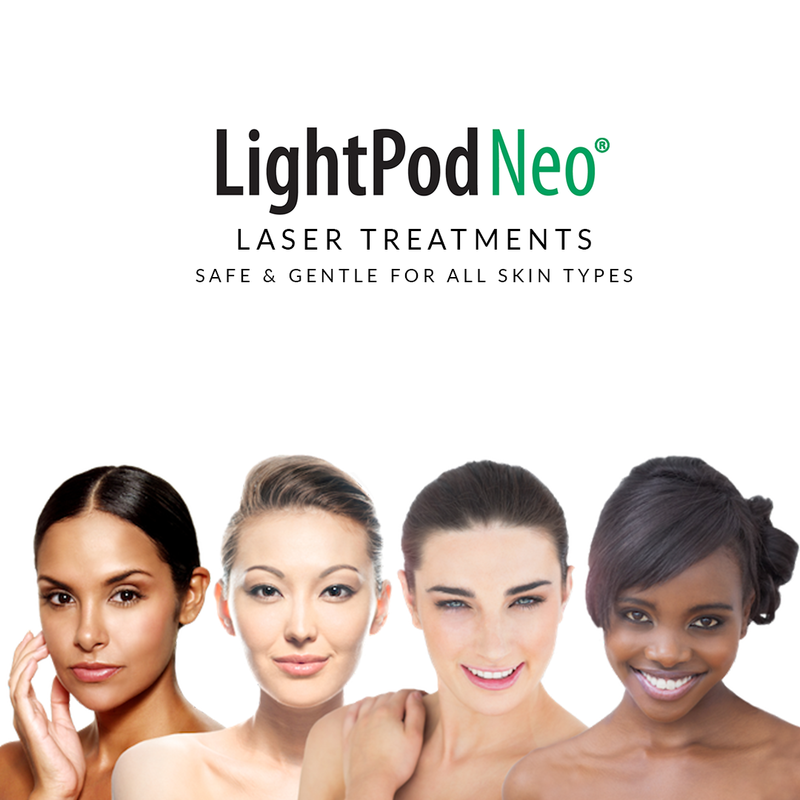 What are the advantages of LightPod Era laser skin rejuvenation? This new laser technology provides faster regrowth of new skin with minimal discomfort and minimal or no downtime. Only a single treatment is necessary for profound skin rejuvenation. Compared to other treatments, this procedure can be simply performed with topical anesthesia. The laser energy is pulsed across the skin’s surface in a carefully controlled manner, gradually vaporizing old tissue to stimulate the growth of new skin and collagen for a smooth, evenly toned and youthful appearance. With the use of topical anesthesia, most patients don’t feel any pain, just a mild heating sensation. Depending on the condition treated, you may have a recovery period of 1 or 2 days for most treatments and up to 5 days for deep wrinkle removal. The treated area needs to be kept moist with ointment and a slight redness of the skin may remain for up to two weeks following the procedure. You may resume your normal activities as you see fit.